Happy Spring! It definitely feels like spring here in Wisconsin today, sunny and high of 60 degrees. Time to bring out the flip-flops and shorts. 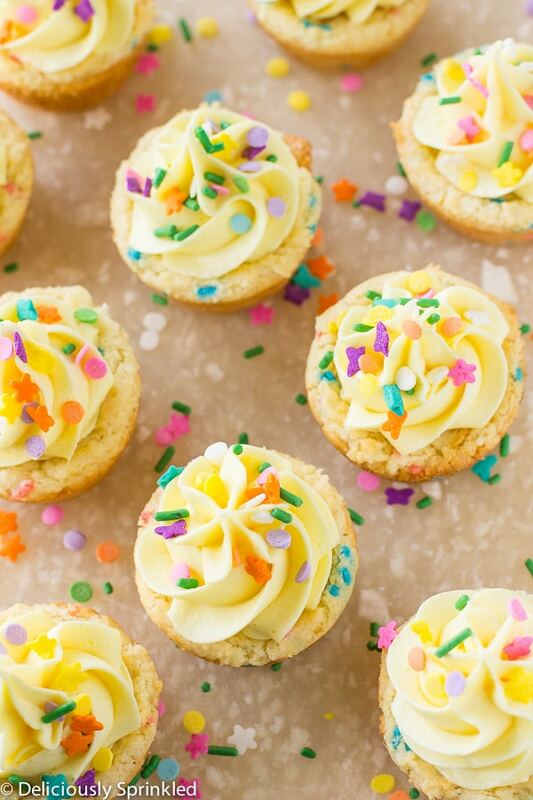 These Funfetti Cookie Cups are the perfect way to celebrate the warmer weather with my family. 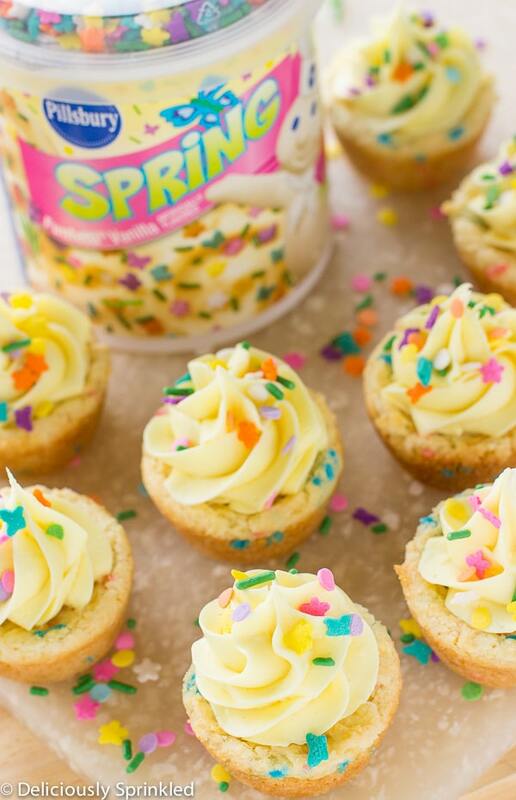 On my weekly trip to Walmart, I found these super fun Pillsbury™ Spring Funfetti® Cake Mix and Pillsbury™ Spring Funfetti® Frosting which made making these funfetti cookie cups super easy and the whole family can help decorate all the cookie cups with SPRINKLES! 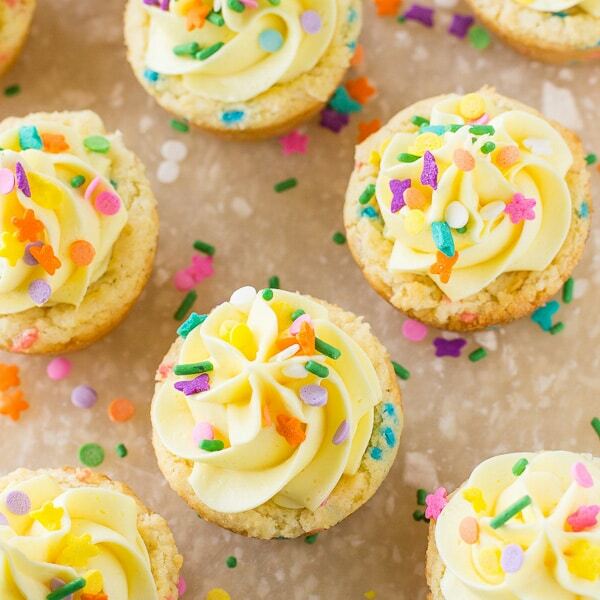 ✓ NO MIXER REQUIRED: To make these Funfetti Cookie Cups you do not have to pull out your mixer. All you need is one large bowl, whisk, and spatula. ✓ SCOOPING THE COOKIE DOUGH: I like to use a 1 Tablespoon cookie scoop but if you don’t have a cookie scoop, just use a 1 Tablespoon measuring spoon. PRE-STEP: Preheat oven to 350F degrees. 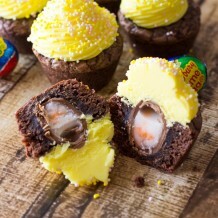 Spray mini cupcake tin with non-stick cooking spray. Set aside. STEP 1: In a large bowl, whisk together cake mix and baking powder. STEP 2: Add eggs and vegetable oil. 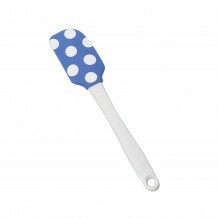 Using a spatula, mix together until all dry cake mix is gone. 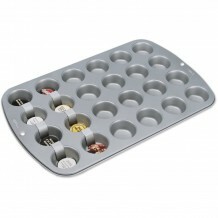 STEP 3: Using a 1 Tablespoon cookie scoop, scoop dough balls into prepared mini muffin tin. Bake for 10-12 minutes until lightly brown. 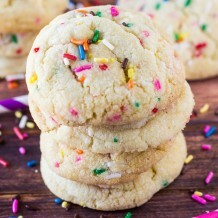 STEP 4: IMMEDIETLY press the bottom of a 1 Tablespoon measuring spoon into the center of each cookie cup. Let cool. STEP 5: Place frosting into a piping bag or ziplock bag, and frosting tops of cookie cups. 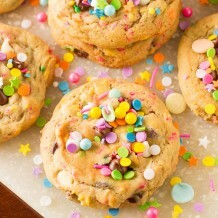 Sprinkle with sprinkles.